Finally, high-quality audio that headphones enthusiasts and audiophiles have long enjoyed is now coming to smartphones and other computer devices with the launch of i.Tech’s ProStereo™ D1 Professional Wireless Hi-Fi Headphone Amp + DAC. Quality Materials — Laser diamond cutting technology and specially designed triangular prism shape created with aluminum. Sampling Rate Converter — Up to 32-bit/384kHz audio data capability. iPhone and Android Compatible — Supporting AAC codec to output Hi-Fi audio whether playing music on iPhone or Android phones. Properly Equipped — Features prestigious AKM DAC & headphone amplifier chip. External USB DAC — Can be used as external USB DAC by connecting the USB cable to iOS/Android device or computer. Maximum Power Output — Maximum power output: 40mW+40mW and distortion rate: <0.02%. Rotatable volume knob with a LED light guide. Solid Bluetooth capability with sampling rate converter and high-end headphone amplifier. Upgraded USB DAC with high-resolution audio specifications. 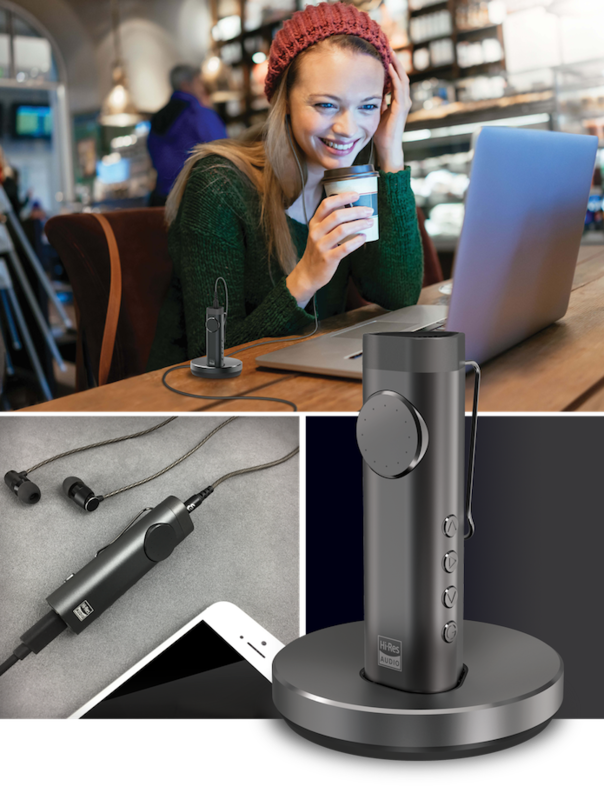 Enables effortless playing of music when connected with Bluetooth-enabled devices. Outstanding craftsmanship with a strong bottom for the device to stand on different surfaces. The company’s complete Hi-Fi audio solution works with any smartphone and computer, featuring a 32-bit sampling rate converter, 40mW+40mW power output (distortion rate <0.02%), and is bundled with a pair of High-Res Audio certified headphones with 5Hz – 70 kHz high-frequency range to deliver smooth and dynamic bass sounds. 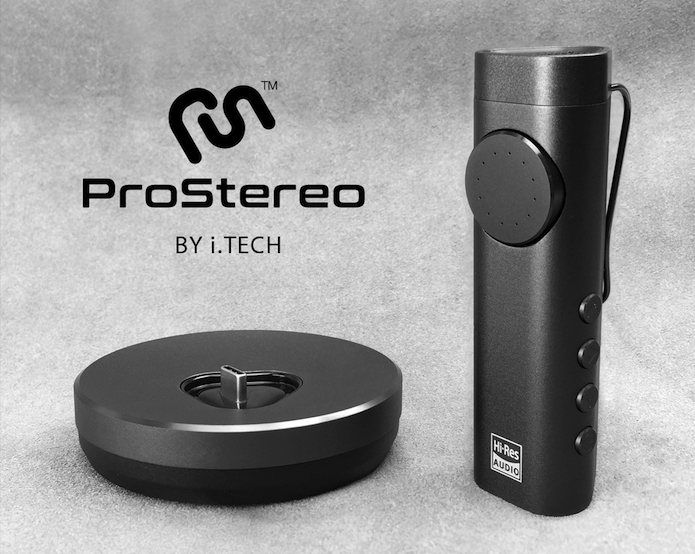 Additionally, ProStereo™ D1 supports through its sampling rate converter, any type of music file playing on a mobile phone, or in USB DAC Mode (MP3, AAC, FLAC, etc. ), as the audio data can be raised up to 32-bit / 384 kHz and processed by an independent Hi-Fi grade AKM DAC. ProStereo™ D1 comes with earphones that are fully compliant and certified with the Hi-Res Audio requirements set by the Japan Audio Society. Listeners will notice a clear and fine sound output with a wide treble performance and a solid, deep bass due to a frequency rate up to 70 kHz. There is also a 9mm dynamic driver to bring consumers natural sound clarity.